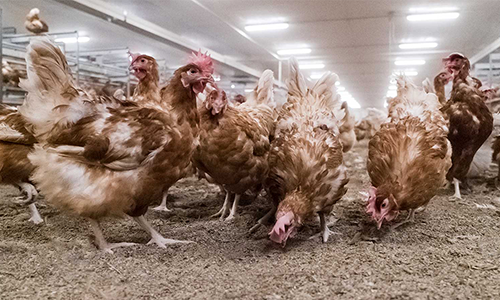 NATURA Filia is a two-tier rearing aviary developed by Big Dutchman to meet the requirements of day-old chicks and pullets in an optimal way. 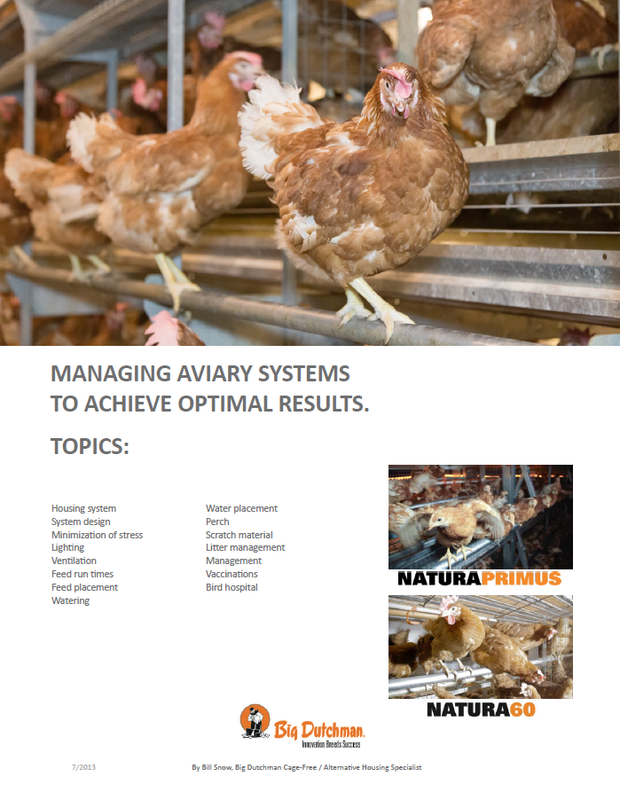 The NATURA Primus three-tier rearing aviary offers you the best possible prerequisites for a smooth transition of pullets from the rearing to the laying aviary. 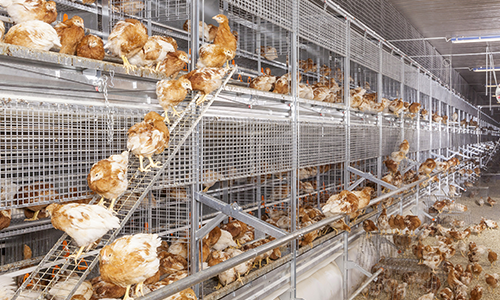 NATURA 60 & 70 are multi-tier select access aviaries which allow birds in and out of the system through defined locations and at selected times. 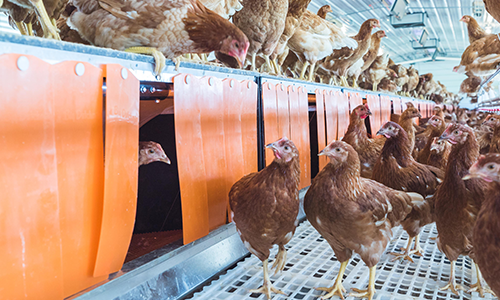 These systems are known and popular for their excellent egg production figures and ease of management. 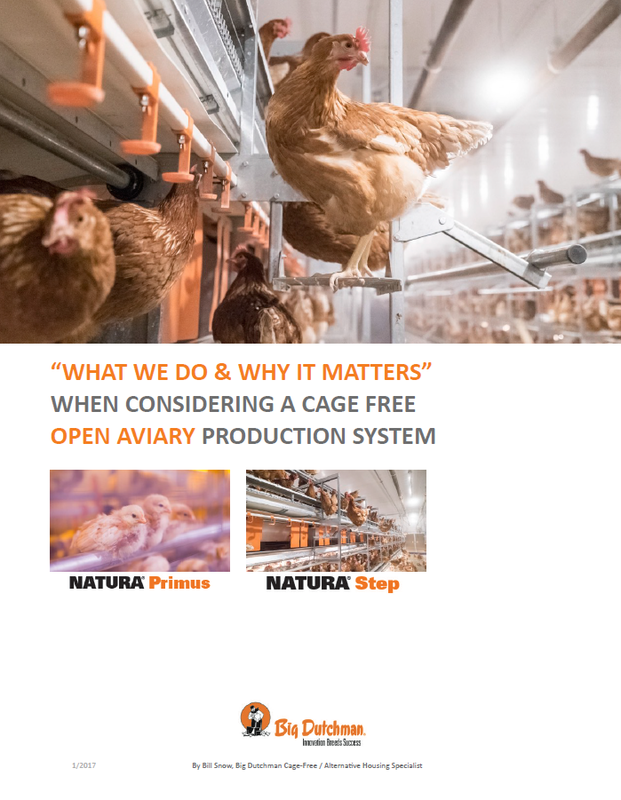 The NATURA Step is a multi-tier open access aviary that offers complete open access, giving full freedom to the bird to move in and out of the equipment at all times. The name NATURA Step comes from the unique steps which are designed to allow easy movement from one tier to another. 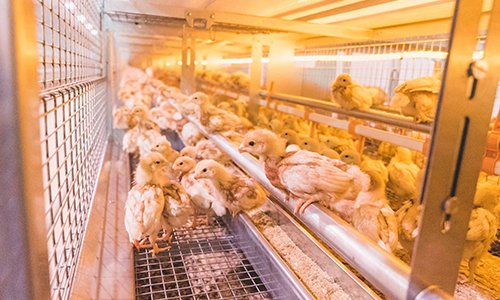 NATURA Sunrise is a unique multi-tier open access aviary that features a central egg belt and divided tilting nest floor. 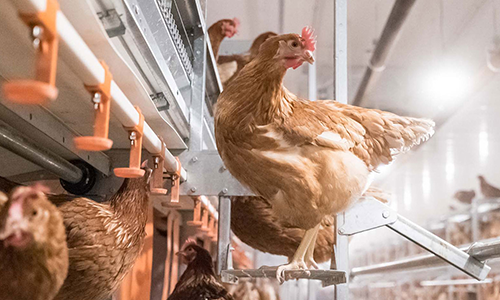 The COLONY2+ system is a single-tier open access aviary that features one row of nests in the center of the house, slats on either side, and feeders and drinkers. It is best suitable for smaller flocks, and is popular among some organic egg producers. 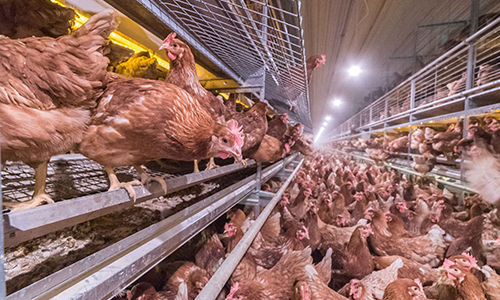 The COLONY2+ nest with our patented tilting nest floor and central egg belt provides optimal egg quality.